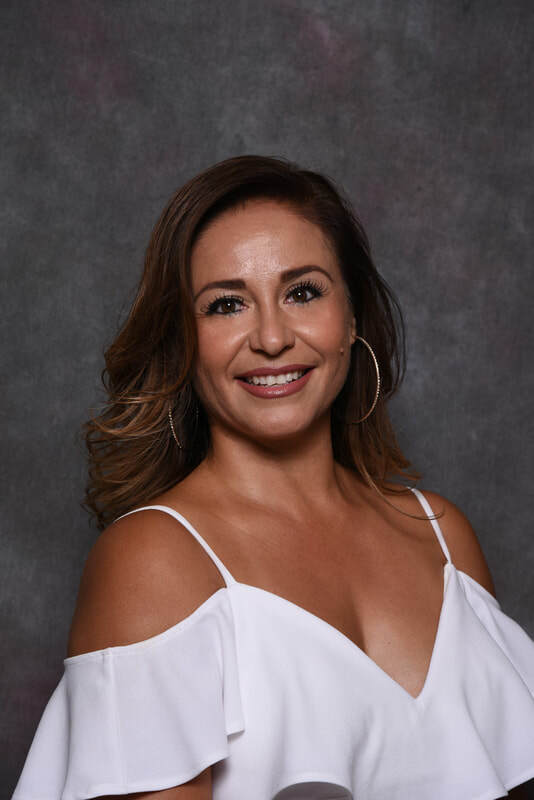 Keila Rodriguez was nominated for the 2018 Las Primeras Award due to her advocacy work on behalf of students with special needs and high-risk youth, exemplary leadership, and exceptional contribution to improving the lives of local students. Born and raised in Mexicali and as an immigrant and English Language Learner (ELL), she started her education in the United States as a sophomore in El Cajon Valley High School in San Diego. She attended Imperial Valley College, SDSU and National University earning her B.A. in Liberal Studies and Masters in Cross-Cultural Education. She has demonstrated a passion for education and advocacy work for ELLs and Special Needs students through her career endeavors and community service. As the parent of child with Down Syndrome, she navigated the complicated and often overwhelming world of special education in a rural community. Her personal experience has made her a courageous advocate for inclusion in the classroom for children of different abilities. In 2015, Keila was appointed as a Commissioner for the California Department of Education’s Advisory Commission on Special Education (ACSE). She is the first individual from Imperial County appointed to the ACSE. The Commission is an advisory body that provides recommendations and advice to the State Board of Education, the State Superintendent of Public Instruction, the Legislature, and the Governor in new or continuing areas of research, program development and evaluation in California special education. She previously served as the Scholarship Coordinator for MANA de Imperial Valley. She served as Principal for the Alternative Education Academy School and is currently a Principal at Meadows Union school District. Dr. Martha Garcia currently serves as the ninth Superintendent/President for Imperial Valley College (IVC) and as the first woman to lead the College. She previously served as IVC's Vice President for Student Services and Acting Vice President for Academic Services. Moreover, Dr. Garcia was previously responsible for developing and coordinating a 5.8 million dollar California Career Pathways Trust Grant, Salud y Seguridad para la Comunidad Project that enabled the college to create Peace Officer Standards and Training (POST) Level One. She developed a multitude of categorically funded programs that focused on serving minority and underrepresented students. She previously served as the Public Relations Director for MANA de Imperial Valley and was honored as one of the 56th California Assembly District's "2018 Woman of the Year." Dr. Garcia earned a Doctorate of Education in Educational Leadership with an emphasis in Community College Leadership from San Diego State University, and possesses a Master's Degree in Educational Counseling from National University, a Bachelor's Degree in Criminal Justice Administration from San Diego State University, and an Associate's Degree in General Major from Imperial Valley College. She has a 20-year-old son named Gerry and enjoys spending time with her family. Margaret Sauza is the Executive Director of Sure Helpline Crisis Center. She is being honored for her work to address sexual violence in the community and for her advocacy work on behalf of women. She started her career with the US Immigration and Imperial County Sheriff’s Office in the 1960’s. After working in real estate a number of years, she found passion serving on the Board of Directors of Sure Helpline Crisis Center. After serving on the Board, she began her career as Sure Helpline’s Executive Director where she still serves today. Ms. Sauza has worked with different law enforcement entities, District Attorney’s Office, and Consulate of Mexico in Calexico on efforts to end sexual violence in our community. Mrs. Sauza assisted with the implementation of the Sexual Assault Response Team (SART) in the Imperial County and was instrumental in the development of suicide prevention efforts in the State through her work with ALIANZA LATINA (National Latino Alliance for the Elimination of Domestic Violence) and South Regional California Suicide Prevention Network. She served as Imperial County’s Senior Senator from 2014- June of 2018 and was President of the Imperial County Legal Professional Association in 2016-2017 as well as past Board President for the Work Training Center. She currently serves on the Board of Brown Bag Coalition and the Calexico Housing Authority. She is the first person in the Imperial County to be nominated as a member of the Board of Directors for the California Coalition Against Sexual Assault (CALCASA) where she serves today and continues her advocacy in hopes of creating a community free of violence.